In 1883 the Marquis de Mores, who founded Medora, North Dakota, purchased 250 of the confiscated horses from post traders hoping to use the mares as a foundation stock. In 1884, De Mores sold sixty of the Sioux mares to A.C. Huidekoper, founder of the immense HT Ranch near Amidon, ND. Wallis Huidekoper wrote that some of the horses still carried scars from bullet wounds suffered in battle. 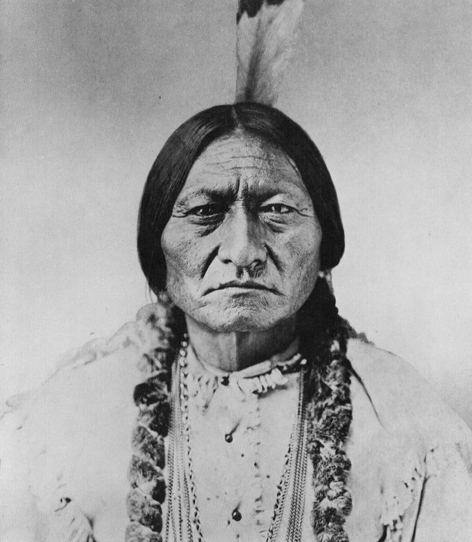 Over time the Nokota found themselves in the Badlands of North Dakota where they were fenced in when Theodore Roosevelt National Park was created in 1947. Theodore Roosevelt National Park became the last stronghold of wild horses in the Dakota's. In the 1980's the National Park Service began rounding up and removing the wild horses. Frank and Leo Kuntz recognized the significance of the history of this unique breed and began purchasing horses from the park. 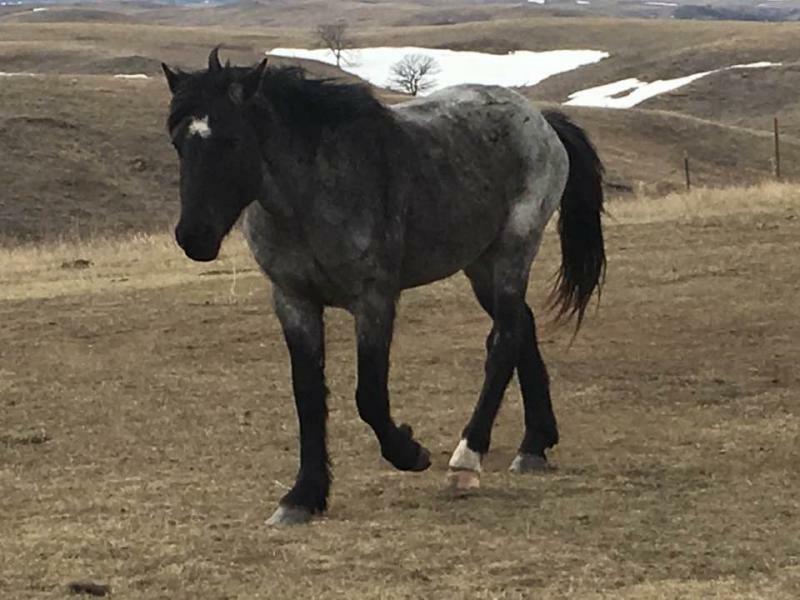 They would later found a breed registry and the Nokota Horse Conservancy in Linton, ND. By 2000 the last of the Nokota were rounded up from the park and if not for the efforts of the Kuntz brothers this breed and their story would have been lost forever. Our ancestors knew horses could affect you in powerful ways. 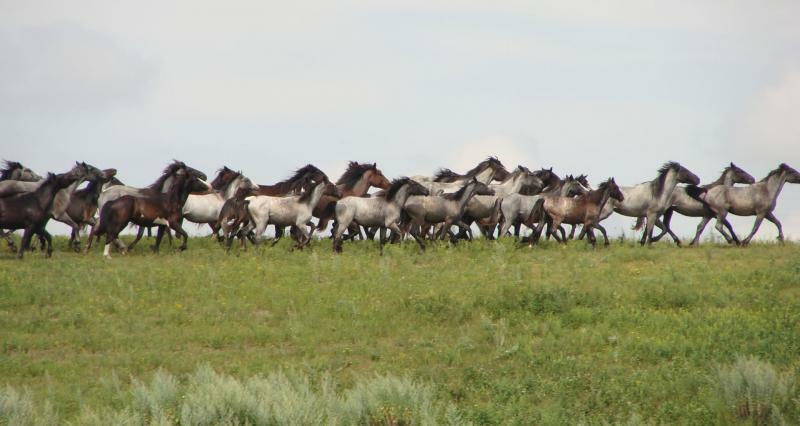 We would like to purchase mares for foundation stock from the Nokota Horse Conservancy to create a Nokota Horse Preservation Herd. By purchasing Nokota horses from the Conservancy we also contribute to the success of the NHC. We are committed to preserving the teachings of our ancestors. We want to create learning and healing opportunities for our people by sharing teachings from the horse nation. We'd implement our own cultural and spiritual approaches to equine assisted wellness and therapeutic horsemanship. Our ancestors had a small ecological footprint on the land. We can't expect our government to reduce their dependency on fossil fuels if we're not willing to change our own behavior. Our goal is to develop eco-friendly herd management practices completely off the grid utilizing a combination of geothermal, wind and solar energies.﻿ We would also like to create learning environments where people can come and learn about the possibilities. We would like to thank Lew Hastings from the Native Now Foundation for agreeing to being our fiscal agent for Year One. Pilamayelo! We would like to purchase video, sound equipment to create short videos and a full length documentary to tell our own story. Funds would also be used to engage friends and relatives who have the technical expertise to make this wish come true. Consultants would be engaged to create the capacity locally through community engagement. EQUINE ASSISTED WRAPAROUND is a child-centered, family-focused approach to providing strength based, needs-driven, unconditional care to children and their families who have complex needs, utilizing a combination of natural supports, professional service providers, and the spirit of the horse. EAW is not a program or a service. It's a process to help improve the lives of the children and families you serve. Equine Facility off the grid utilizing a balance of wind, solar and geothermal energy! 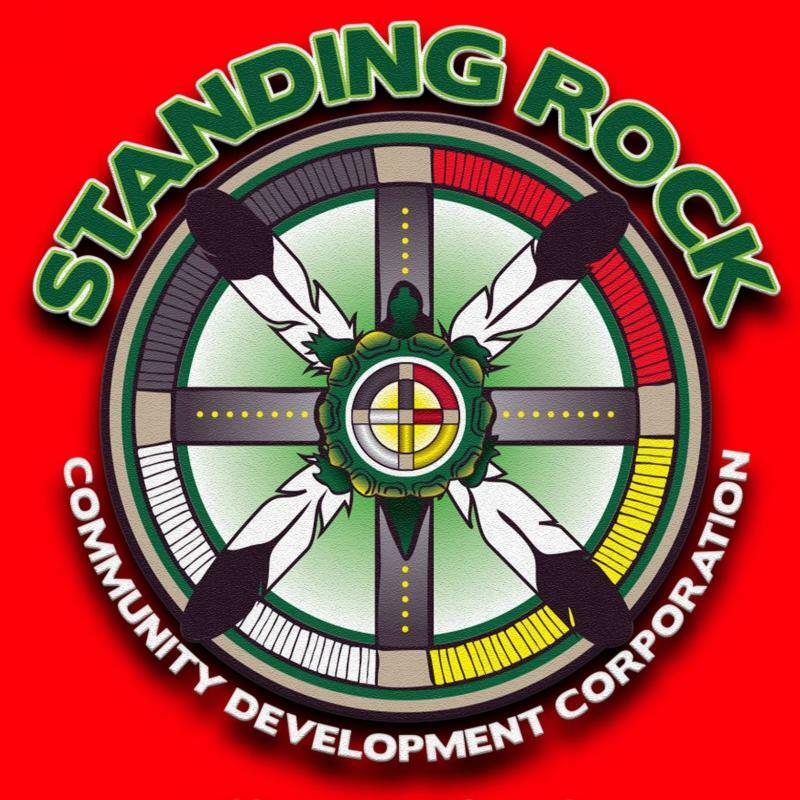 Our relatives at Standing Rock Community Development Corporation have agreed to be our fiscal agent. If you would like to contribute to helping us return the Nokota to Standing Rock click on the link below. If you make a donation, make sure that you email or call the CDC so that they know the amount of the donation. Pilamayelo!